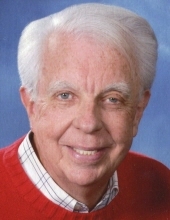 Albert Nelson “Al” Justice, 80, went to be with his Lord on Friday, January 25, 2019 at the SECU Hospice House in Smithfield. Al was born in Pikeville, Kentucky on May 29, 1938 to the late Kerry and Violet Justice and was raised in Richmond, Virginia. The family will receive friends on Tuesday, January 29, 2019 from 1:00 – 2:00 p.m. at Glad Tidings Church in Morehead City followed by a service to celebrate Al’s life at 2:00 p.m. in the sanctuary with Rev. Tim Marriner and Rev. Jeff Pickett officiating. Interment will be on Wednesday, January 30, 2019 at 1:00 p.m. in Wayne Memorial Park. Al is survived by his wife of 7 years, Debbie Forehand Ross; children, Linda Rogari and Craig Justice and wife DeeDee; grandchildren, Tessa Rogari, Courtney Justice and Cole Justice; step-daughters, Amy Brousard and Emily Lanier and husband Rodney and their children he loved as his grandchildren, Brandon Kearney, Erin Brousard, Shannon Brousard, Jackson Lanier, Gracen Lanier and Addison Lanier and great-granddaughter, Lyla Kearney; and mother-in-law, Almeta Forehand. To send flowers or a remembrance gift to the family of Albert Nelson Justice, please visit our Tribute Store. "Email Address" would like to share the life celebration of Albert Nelson Justice. Click on the "link" to go to share a favorite memory or leave a condolence message for the family.